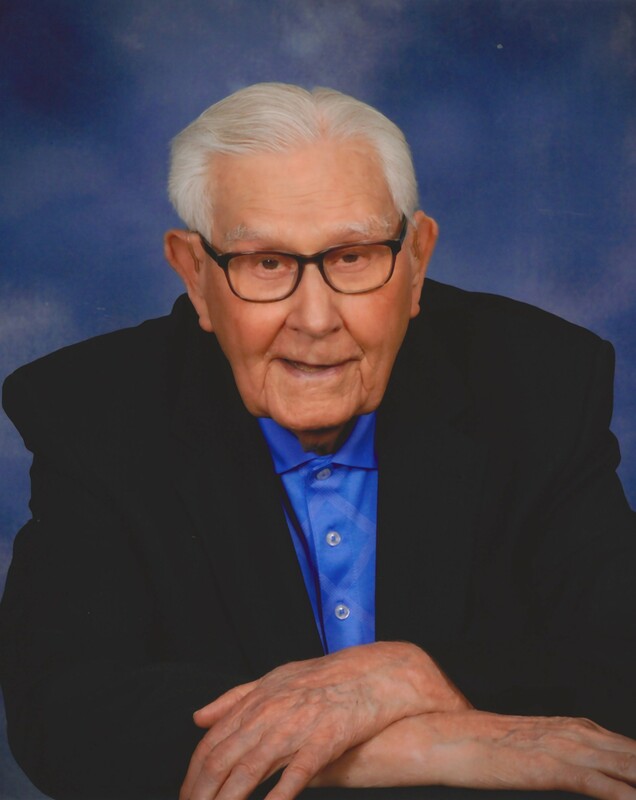 Henry Weldon Moore of Bryan, passed away after 98 wonderful years, on Saturday, March 23, 2019, at St. Joseph's Manor. Henry was born on November 27, 1920 in Yowell (Hunt County), Texas to Luther and Emma Tichenor Moore. He was the ninth of eleven children in a poor farming family. He started working in the fields picking cotton at a very young age. He always said that he knew better than to complain about anything that was put on the table, and even if it wasn't his favorite food, he was grateful to have it. He spent his childhood in the Commerce-Cooper area. He graduated from Cooper High School in 1937 and received his Bachelor of Science and Master of Science degrees from East Texas State Teachers College in Commerce. He was the only child in his family to graduate from college, and he always credited his oldest sister, Mylie, for encouraging him to pursue a college degree. After graduation, Henry started his teaching career as a Business teacher at Caddo Mills High School. His stint in Caddo Mills was interrupted by World War II. He served in the Army Air Corps from 1942 until 1946. After the war, he taught Business at Royse City High School. While at Royse City, he needed a date for a school banquet, and someone suggested he ask a young teacher in Wolfe City. He asked Dorothy Jean Mabry to be his date, she accepted, and they never dated anyone else after that. On September 1, 1951, Henry and Dorothy married at First Methodist Church in Commerce. In January of 1952, they moved from Royse City to Corsicana, where Henry started teaching at Navarro Junior College. He served as Chairman of the Business Department and went on to become Dean of Admissions and Registrar, and later Vice President for Student Affairs. On July 20, 1952, their daughter, Joan, was born, followed on August 16, 1955, by their son, Robert. Henry and Dorothy raised their children in Corsicana, and Henry was always a very involved parent. He and Dorothy stressed the importance of an education, and because of that, both children always knew that they would go to college. Henry and Dorothy started taking their children to First Methodist Church in Corsicana every Sunday when they were babies, and church continued to be important to Henry his entire life. In Corsicana, Henry served as Chairman of the Administrative Board at First Methodist more than once. He and Dorothy were proud of both their children and supported them in whatever they did. Joan followed in her parents' footsteps as a teacher, and she later became an Elementary Librarian. Robert became a Pediatric Pulmonologist. Henry used to embarrass his kids by saying that the reason they were so smart was because of the World Book Encyclopedias he and Dorothy purchased when the children were young! In May of 1974, Henry retired from his career as an educator. He then decided to go into the insurance business "part time," selling life insurance for National Farm Life Insurance Company. 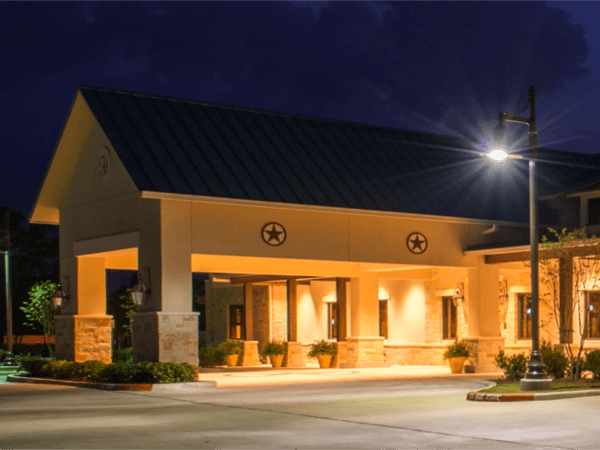 However, Henry never did anything halfway, and he loved selling insurance so much that he was offered the position of heading up the agency in Bryan-College Station. With both children grown, Henry and Dorothy decided to make the move, and they settled in Bryan in 1976. He went on to become a Life Member of the Million Dollar Round Table. When Henry and Dorothy moved to Bryan, they soon joined First United Methodist Church. They were longtime members of the Upper Room Sunday School Class and enjoyed the many friendships they made there. After he retired from the insurance business, Henry took on a third "career," as a library volunteer at Johnson Elementary in Bryan, where his daughter was the librarian. He worked several days a week there for many years, and almost singlehandedly barcoded the entire collection when the circulation system of the library became automated. He also became interested in genealogy, and he researched the history of the Moore Family and shared copies with his children and his nieces and nephews. He exercised weekly at Super Slow Zone with his trainer, Carol Kapella, for many years, and he credited this for the fact that he was able to walk almost to the end of his life. He loved watching Fox News, and he yelled for the Texas Longhorns no matter what the sport. He particularly loved Longhorn Football. After the Longhorns beat USC in the National Championship game in 2006, he told his daughter he wanted to get off the phone so he could "watch the hoopla!" He also enjoyed watching golf and joked that Jack Nicklaus was his favorite golfer because he "liked to root for the underdog!" His current favorite golfer was Jordan Spieth, particularly because he was a Texas Longhorn! Henry was preceded in death by his wife Dorothy, who died in 2007, after 56 years of marriage. Also preceding him in death were his parents and his six sisters and four brothers. He is survived by his daughter Joan Moore of Bryan and his son and daughter-in-law, Robert and Linda Moore, of Houston. He loved Linda like a daughter. He is survived by two sisters-in-law, Mary Mabry of San Diego, CA, and Helga Mabry of Austin, TX, as well as by seven nieces and ten nephews. His family would like to thank the many wonderful doctors who cared for him, particularly Dr. Stephen Tseng, Dr. Erin Fleener, Dr. Evan Lacefield, Dr. James Distefano, and Dr. Robert Herring. They are also grateful for his regular visits from his good friend from church (and fellow Longhorn), Bill Birdwell, and for his favorite barber, Sonny Brown, who even came to cut his hair when Henry was no longer able to get to the barbershop. They would also like to thank the staff at St. Joseph Manor, especially those on Nurses' Stations 1 and 2, and his favorite therapists there, Vandi, Priya, and Neil. 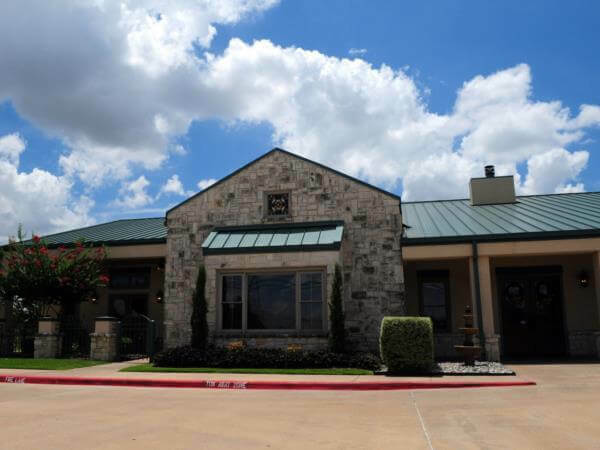 The family is also grateful to the staff at Hospice Brazos Valley for their wonderful care of Henry during his last days and to Sam Rocio of Hospice who bathed and shaved Henry three days a week. Finally, the family cannot begin to thank his two caregivers, Tina Green and Beverly Hunter, who so obviously adored Henry and would have done anything for him. They added so much to his last few months, and Henry's family will be eternally thankful to them. The family asks that any donations be made in Henry's memory to First United Methodist Church, 506 E. 28th Street, Bryan, TX 77803, or Hospice Brazos Valley, 502 W. 26th Street, Bryan, TX 77803. Visitation will be at Hillier Funeral Home in Bryan on Wednesday, March 27, from 5:00 p.m. - 7:00 p.m. Funeral services will be held at First United Methodist Church in Bryan at 1:30 p.m. on Thursday, March 28. Burial will follow at 3:00 p.m. at College Station City Cemetery.